Tiger Woods ended his eleven-year wait to win a major title on Sunday by claiming his first Masters win since 2005. 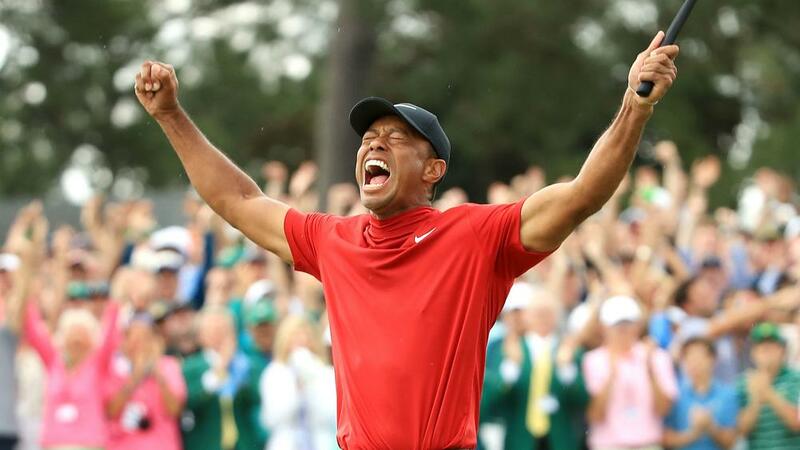 Tiger Woods ended a major drought stretching back to 2008 and completed the most extraordinary comeback from injury by claiming a one-shot victory at the Masters on Sunday. Woods, who expressed doubts over whether he would play professional golf again only 19 months ago, secured his fifth green jacket with a closing round of 70 to finish on 13 under, as overnight leader Francesco Molinari dramatically faltered with two double-bogeys on Augusta's back nine. The tension was unbelievable as the tournament neared a conclusion, with five players sharing the lead at 12 under before Woods birdied the 15th to pull clear. A stunning tee shot to the next hole ensured the 43-year-old picked up another shot and he duly secured his 15th major title, 14 years on from his last win at Augusta. Can Tiger Surpass Nicklaus' Major Record?